FARMINGDALE, N.Y. (AP) - Phil Mickelson has arrived at the U.S. Open with a series of text messages and notes from wife Amy, who is home preparing to fight breast cancer. She wants him to return with the U.S. Open trophy. Mickelson only decided to return to Bethpage Black two weeks ago after disclosing that his wife has been diagnosed with cancer. 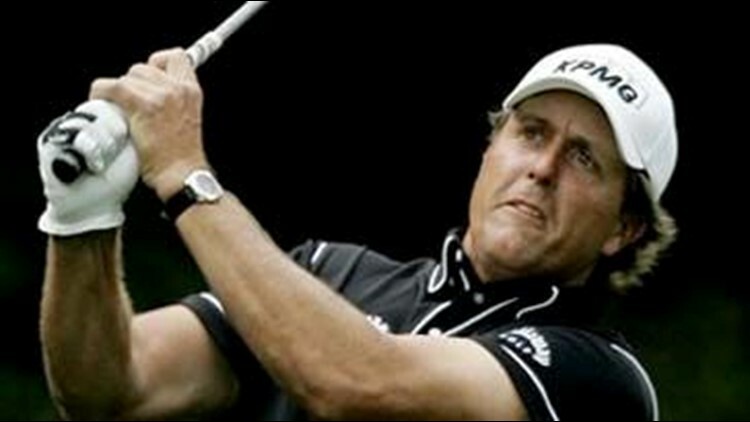 He was runner-up to Tiger Woods in 2002, and already has tied the U.S. Open record with four second-place finishes. "She has left me a number of notes, texts, cards, hints that she would like a silver trophy in her hospital room," Mickelson said Wednesday. "I'm going to try to accommodate that." She will have surgery July 1.